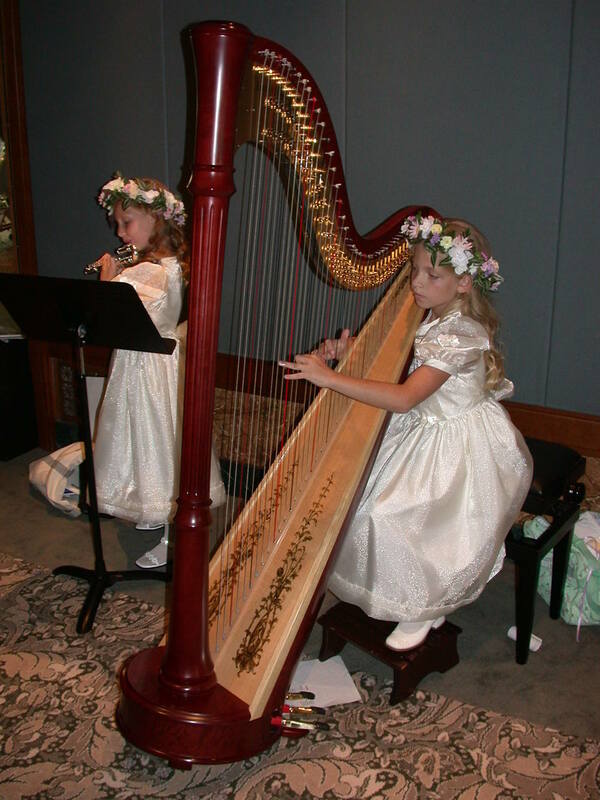 Interested in learning to play the harp? Learning the harp is for all ages! With experience teaching ages ranging from 4 - 60+, I can offer a variety of styles and methods that best fit your needs. I specialize in the Suzuki Method, Salzedo, and Russian Methods. As a certified Suzuki Harp Teacher, I have more than seven years teaching experience and attended the Royal Academy of Music teacher training course for teaching under the ABRSM. This includes the grand moment of the bride walking down the aisle, processional music for other honored guests, the signing of the register, and elegant background music as guests enter and leave the wedding venue. You may choose specific songs you want for the ceremony. See page 3 for repertoire list. This includes providing beautiful background music to create the perfect elegant atmosphere for your event. For weddings, it is particularly useful to have live music during the drinks reception- while the newlyweds have their pictures taken- or during the main meal, ending in time for the speeches. For ceremony and reception following ceremony (up to 2.5 hours). See descriptions above for details. If there is a song that is not in the repertoire list (see page 3) that you want for your event, I am happy to learn special songs for your occasion. This fee is to cover costs of my time spent arranging and/or buying the sheet music. As each event is unique, there may be additional fees given the circumstances, porterage and distance. For a comprehensive quotation, please enquire here. Thank you for your inquiry! I will reply to your request as soon as possible.